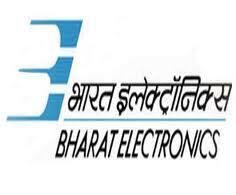 BEL(bharat electronics limited) invites applications for the post of electronics and communication engineer. Qualifications: First class for General and OBC Candidates and Pass Class for SC/ST candidates in BE / B.Tech (Electronics & Communication) from a recognized University/ institution.Experience: Experience of one to two years in design /manufacturing/inspection/implementation of microwave and RF equipment, satellite communication, networking, Microsoft servers, etc. is desirable. Tags: Ece freshers jobs, freshers vacancy,bel fresher engineers,engineering recruitments for freshers,2014 vacancies,governmnet jobs.